Mr. Totoro looks like he did in the My Neighbor Totoro film. This plush is gray, cute, fluffy, and adorable. Make a new neighbor out of My Neighbor Totoro! 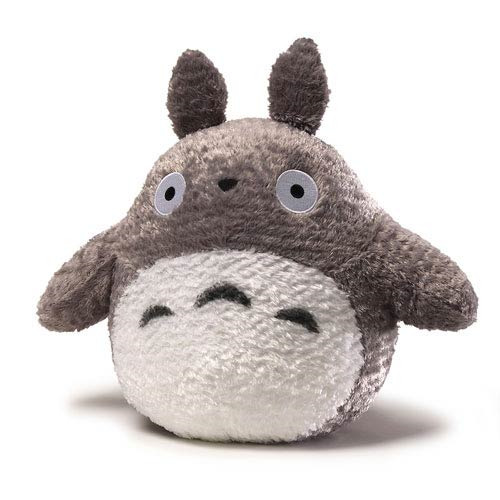 The My Neighbor Totoro Fluffy Big Gray Totoro 13-Inch Plush features the title character of the popular My Neighbor Totoro film from Hayao Miyazaki and Studio Ghibli. Measuring 13-inches tall, Mr. Totoro is here looking just as he did in the film - all gray, cute, fluffy, and adorable. He's the perfect size for cuddling. Ages 1 and up.